Once known for putting the "maker" movement in the spotlight, Quirky filed for bankruptcy this week. Despite it's $32 price tag, Quirky's Pivot Power-- a power strip that curls and bends to make way for oversized plugs -- was was on of the top scoring items on the website. On the other hand, many of its products failed to garner a positive response. While founder Ben Kaufman started the project to pave an easier path for inventors revolutionize everyday consumer products, there were several duds that perhaps explain why the promising startup fell flat over time. 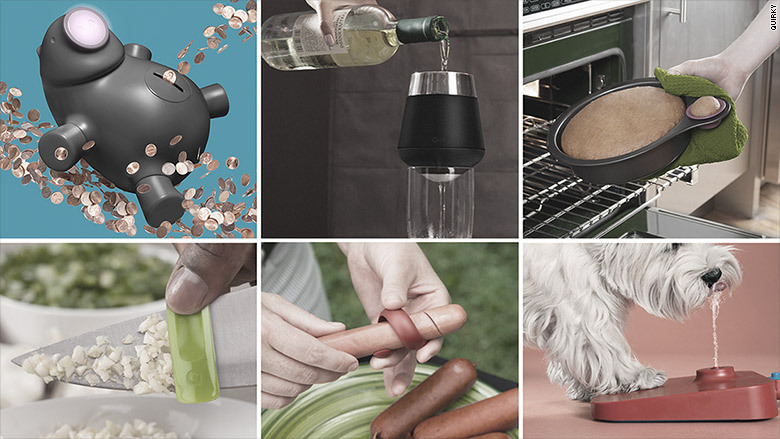 CNNMoney takes a look at eight products on Quirky that were -- but didn't need to be.